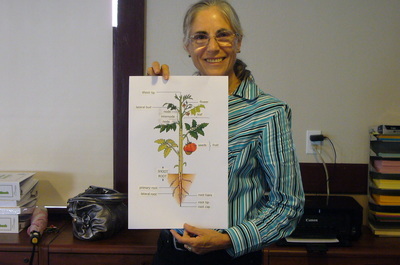 In Second Grade, Texas students must learn the parts of a plant. 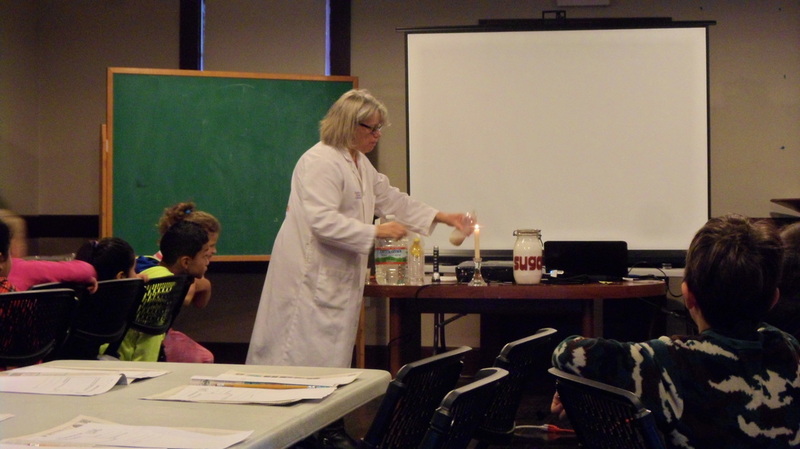 In our 4 part program for the second grade, we support the classroom teacher through some hands on work and “practical magic.” We hope to inspire young students to develop an interest in science at an early age. The 2nd Graders visit us at our building on Fair Street four times during the school year. 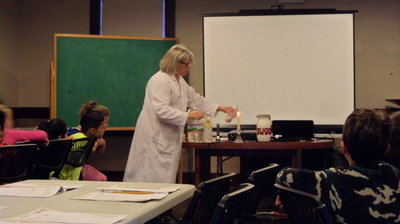 In their first visit, they learn about scientists and the scientific method. Then they have an opportunity to practice the basic scientific skills of observation and note taking. They get an opportunity to get an up close look at a plant as they work with a lab partner as a student scientist. 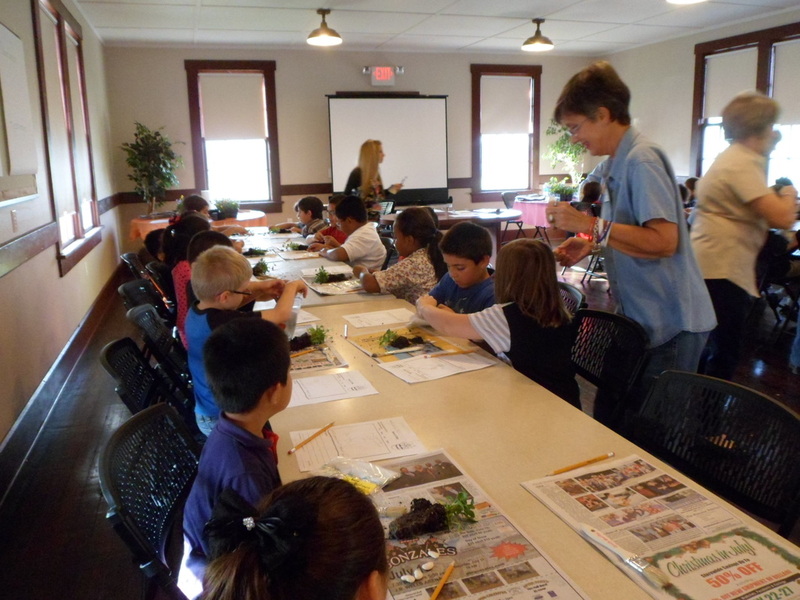 In their second visit to us, students learn about leaves and that plants make their own food through photosynthesis and they have a chance to see real experiments about oxygen and carbon dioxide. In their third visit, students learn about the vascular system of plants and study roots and stems. They examine xylem and phloem and watch a stem feed a flower. Finally, in their last visit, students learn about the reason for a flower and how plants make seeds. 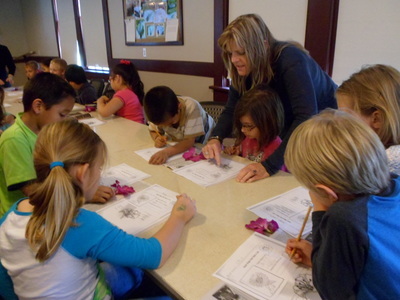 They examine a dissected flower so that they can observe the inside of the flower.